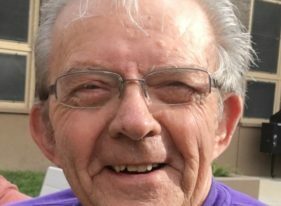 Donald Dean Baker, 78, of Salina passed away peacefully April 2, 2019, at Lindsborg Hospital. He was born in Smith Center on July 12, 1940. During Donald’s life as a truck driver, he traveled around the United States. Donald is survived by his daughters, Cynthia Cote (David) of Londerzeel, Belgium, and Deana Johnson (James) of Salina; three grandsons and their spouses; three great-grandchildren; and four “fur grandchildren”.